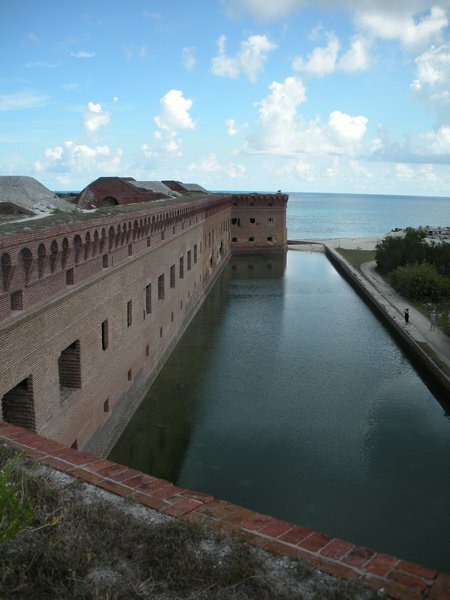 We are in Key West and have high speed internet so I can post some pictures from the Dry Tortugas. 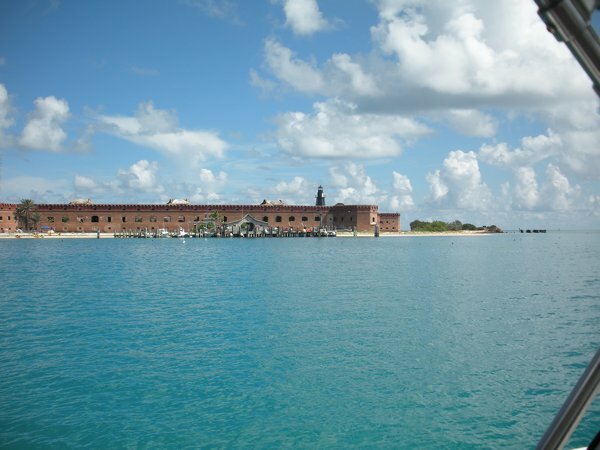 The Dry Tortugas are a number of islands that make up a national park and most of the waters are protected from fishing. 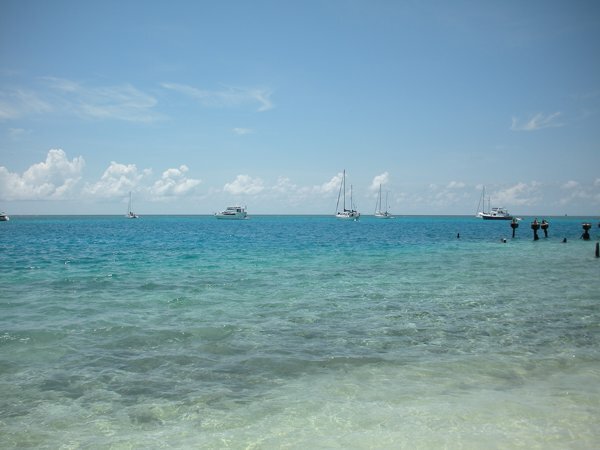 This is one place where it is hard to spend money other than the $5 per person entry fee that covers up to 7 days. (Paying the entry fee is on the honor system.) There is a book store open 1 hr a day and that’s it. Not even water is available, it you didn’t bring it with you then you won’t have it. Even campers bring in their own water. 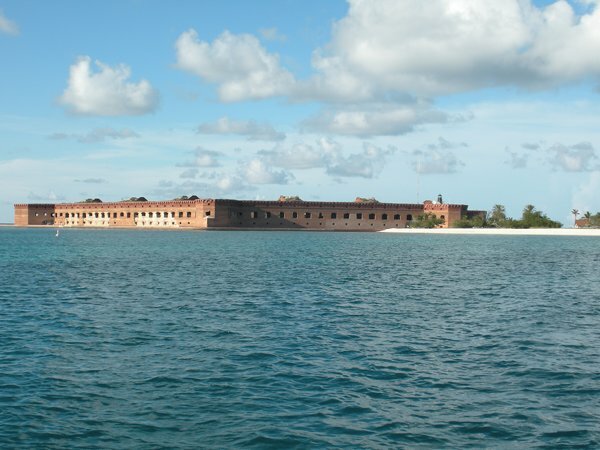 Here is Fort Jefferson as we entered the channel. 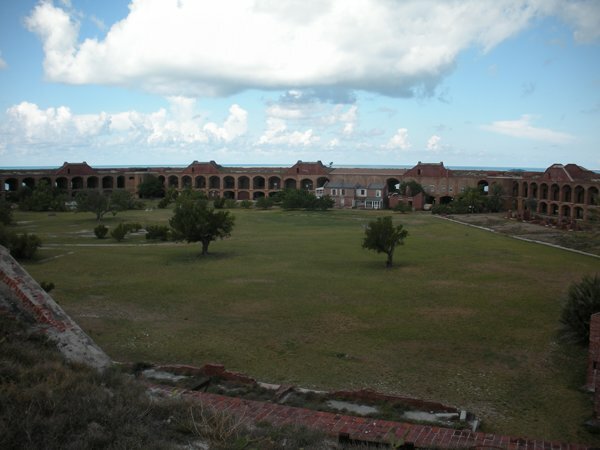 If you want to know more about Fort Jefferson you can google it. 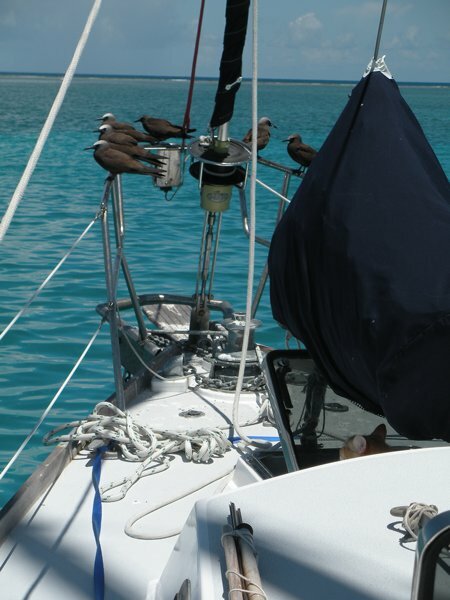 We had a bit of a bird problem while anchored. 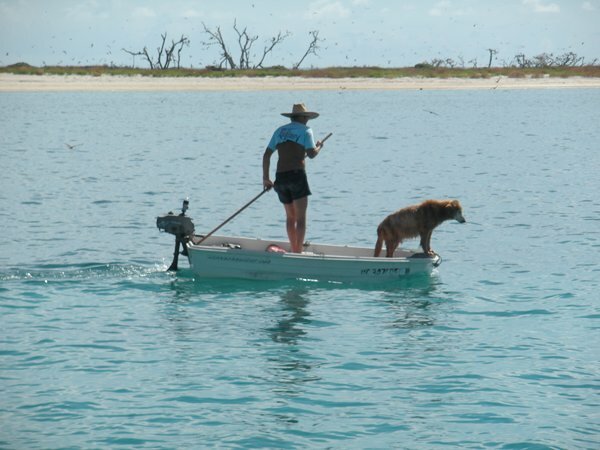 Nearby is a bird breeding area with a large population of birds. During the day they would come out and sit on the bow railing and leave their messages on deck. But wait you say – don’t you have a cat? Well yes, but it worked this way. 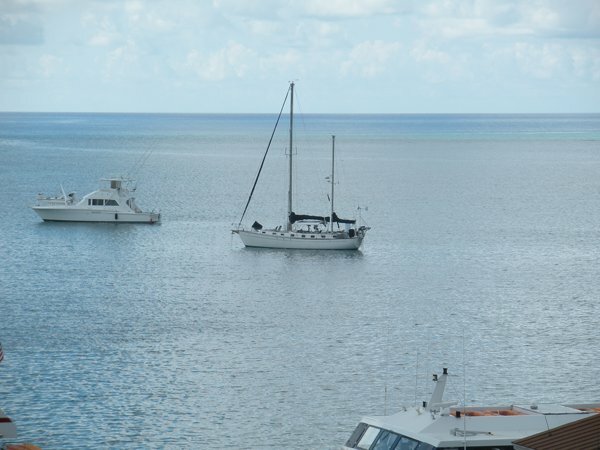 The birds would hang out on the bow from about 10AM till about 7PM. Our cat came on watch around 5PM and by 11AM was asleep below. We tried to bring him on deck during the day to chase the birds, but sleep was more important. When it wasn’t sleep time, he did find a nice hiding place from which to pounce. 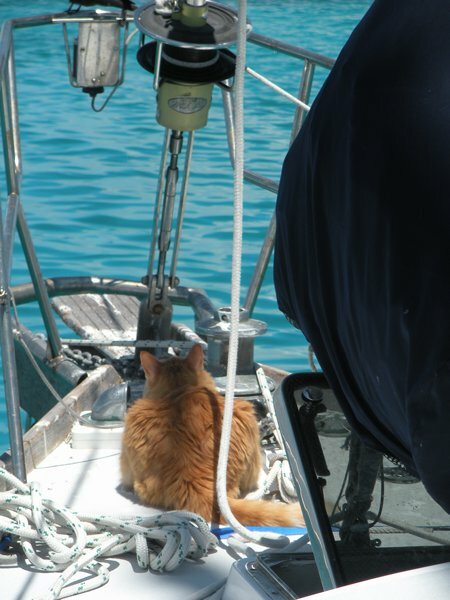 You can see his ears below the sail bag in the lower right part of the picture. Once the railing was full enough for him he would pounce, he was able to bop a couple of birds with a paw, but it wasn’t enough to discourage their return. Here he is after a successful attack waiting for the birds to return.